Sometimes I go to sleep at night dreaming of breakfast. The most important meal of the day should never be a lackluster event. 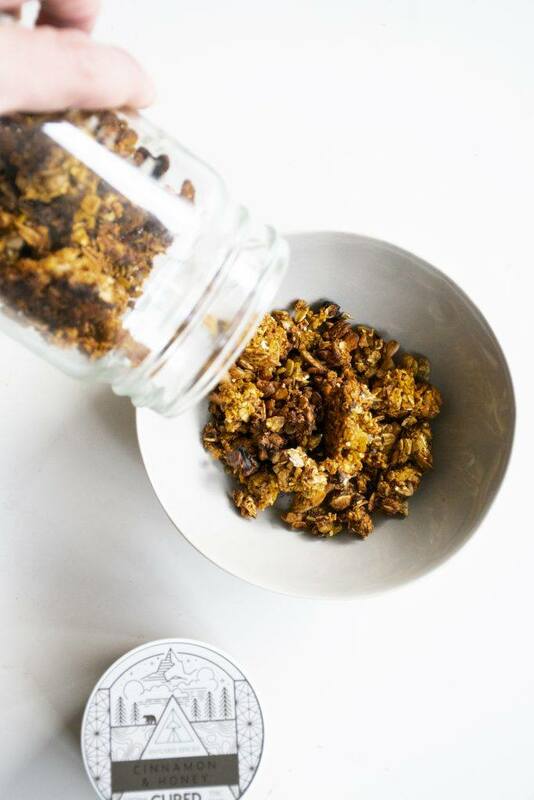 Life is too short to have can’t haves and if you’re bored with soggy cereal, tired of tasteless toast and over processed sugary bars, you’ll love this revolutionary breakfast recipe that is boosting with nutrients for your mind and your body while offering a naturally sweet, oven-roasted flavor and crunchiness! To really get our investigative brain working, and begin to open our eyes to the ingredient list of many ‘healthy’ supermarket bowls of cereal and bread. 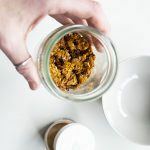 It’s astonishing to find the amount of sneaky additive that is hidden in natural and seemingly healthy breakfast cereals, granolas, and loaves of bread. 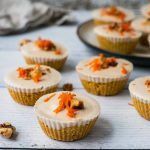 Additives that are weakening our immune systems, placing unneeded burdens on digestion, creating inflammation, and completely contracting the real purpose of breakfast; to give us the physical and mental energy that we need to sustainably face the day! However, in this cluster of goodness, it is all of the good stuff plus a few extras to take it to the next level. 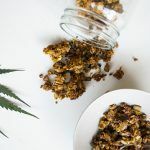 You can guarantee that you are getting a powerful, healing, energizing, and brain boost to take on the most difficult of tasks that your day throws at you with the help of one particular medicinal mushroom paired with a cluster of supercharged herbs in this crunchy granola! Lions Mane: anti-inflammatory and packed with antioxidants. Lions Mane is known for its brain-boosting functions, specifically linked to improving focus and memory! Studies have found that lion’s mane mushroom contain two special compounds that can stimulate the growth of brain cells: hericenones and erinacines. Proven within this study, older adults with mild cognitive impairment found that consuming 3 grams of powdered lion’s mane mushroom daily for four months significantly improved mental functioning, but these benefits disappeared when supplementation stopped. Cinnamon: Compounds in cinnamon have been found to inhibit an enzyme that inactivates insulin receptors, significantly increasing the cells’ ability to use glucose. Known as the healthiest spices on the planet, cinnamon, and its strong antioxidant properties may help lower the risk of diseases. 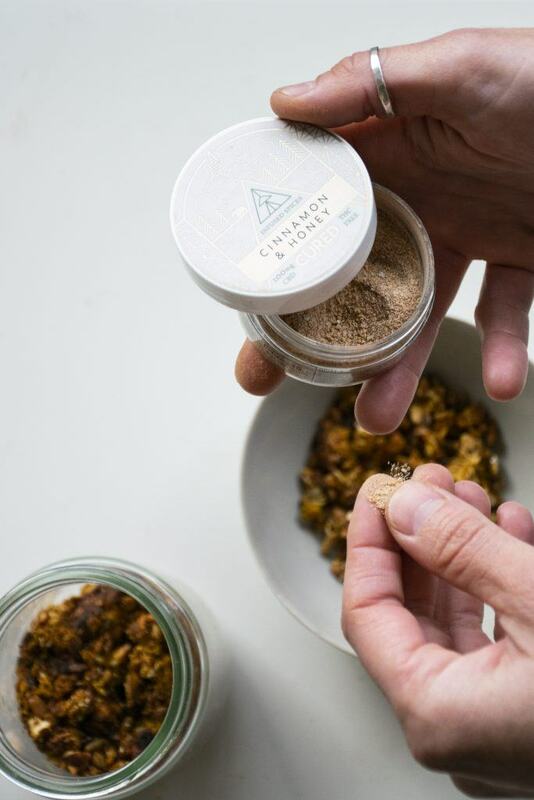 In people with type 2 diabetes, 1 gram or about a half a teaspoon of cinnamon per day has been shown to have beneficial effects on blood markers. A study concluded that cinnamon reduces levels of total cholesterol, “bad” LDL cholesterol, and triglycerides, while “good” HDL cholesterol remains stable. 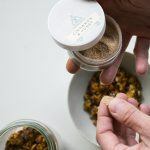 Adding this powerful little spice to your breakfast is a great way to maintain sustainable energy levels and add an exotic flavor at the same time. 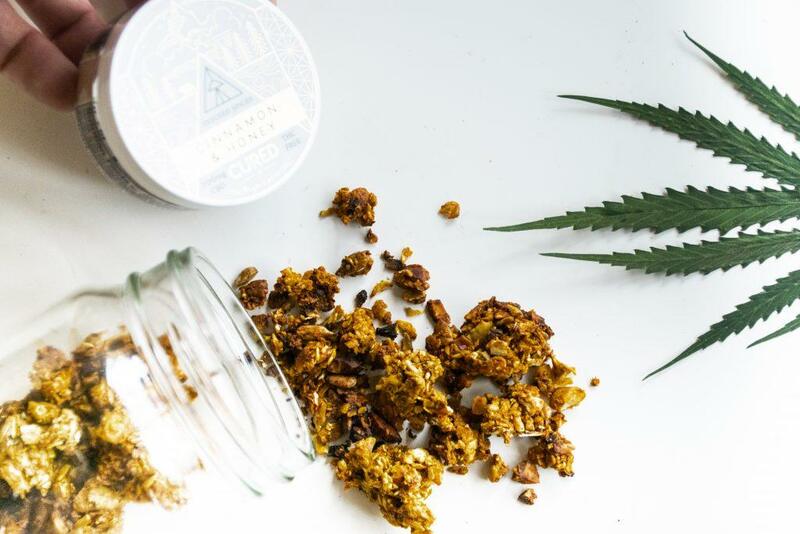 CBD: CBD is credited within anti-anxiety, anti-psychotic, antidepressant, anticonvulsant, and neuroprotective activities in the body, among a long list of other benefits. 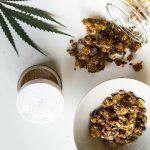 To the average person, it’s easy to assume CBD would make you sleepy, especially if you’re familiar with the powerful sedative effects of using it in higher dosages within Full Spectrum CBD products. 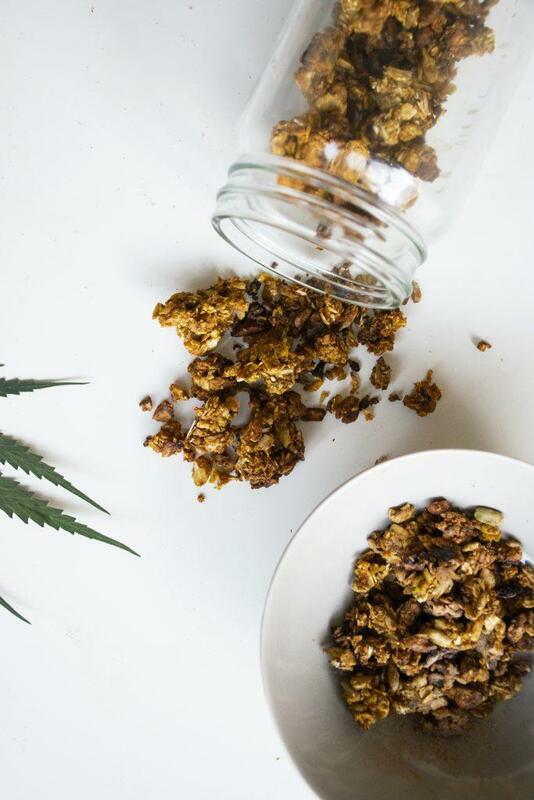 Many users question whether or not to incorporate this powerful plant into their morning wellness routine in fear of making them “too sleepy” to take on the day ahead. 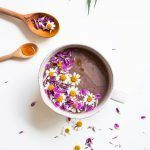 While it is known to help restore and relax your mind body after a big day, it can also provide a boost of energy and clarity if taken in small amounts. One study tested a group of individuals at low doses and noted that they spent more time awake and were less inclined to fall asleep. Showing that within small amounts, CBD appears to act as a stimulant. prevention of the growth of endometriosis endometrial cells by reducing the production of hormone estradiol. Controls and prevents oxidative stress (imbalance between pro-oxidants and antioxidants in the body) in endometriotic tissue. Inhibit angiogenesis (blood vessel development from pre-existing blood vessels). Endometriosis is dependent on multiple factors, one of them being blood supply. Adequate blood supply is necessary for the survival of endometriotic lesions, which is why angiogenesis is important for the spread of the disease. I hope that I have convinced you not to settle for a factory-produced, nutrition-less breakfast with more grit and gravel than the bottom of a birdcage. 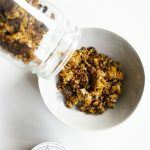 If I have then why not give this oven-roasted, crunchy, supercharged Granola a try and notice the immense difference that it makes in your energy levels? No longer will you be dragging your feet in the morning, but now you will find that you’ll bounce out the door to take on the day ahead! Spread the mixture evenly on the lined cookie sheet and bake in the oven for 30 minutes. 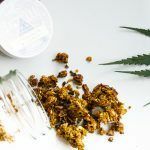 After 30 minutes of baking, take the granola out of the oven and use a spatula to flip and mix the granola to ensure even baking. Return to the oven and bake for another 20 minutes. The granola should be golden brown. Remove from the oven and let cool to room temperature on the cookie sheet before transferring to a storage container. Suffering from inflammation? Try Cannabis!